Discussion in 'The Lightweights' started by Snowy1, Aug 13, 2016.
iddqd7331, MMAart, ElCasca and 1 other person like this. I'm 6'0 and am pretty much a midget when I go to the mall and see all these bulked up teenagers running around. dildos, trolololol, NightwingBJJ and 2 others like this. Trained4years, NightwingBJJ and Which Doctor like this. Conor reportedly over weight for the fight. ssBaldy, iddqd7331, Sgt Smith and 10 others like this. AceCooch and NightwingBJJ like this. He SCREAMS and CRIES insecurity at every turn in regards to being small. ...otherwise he wouldn't wear the gayest most ill-fittingly tight clothes again, again, and...again. ricky rubio, flex4life, cakemuncher and 1 other person like this. 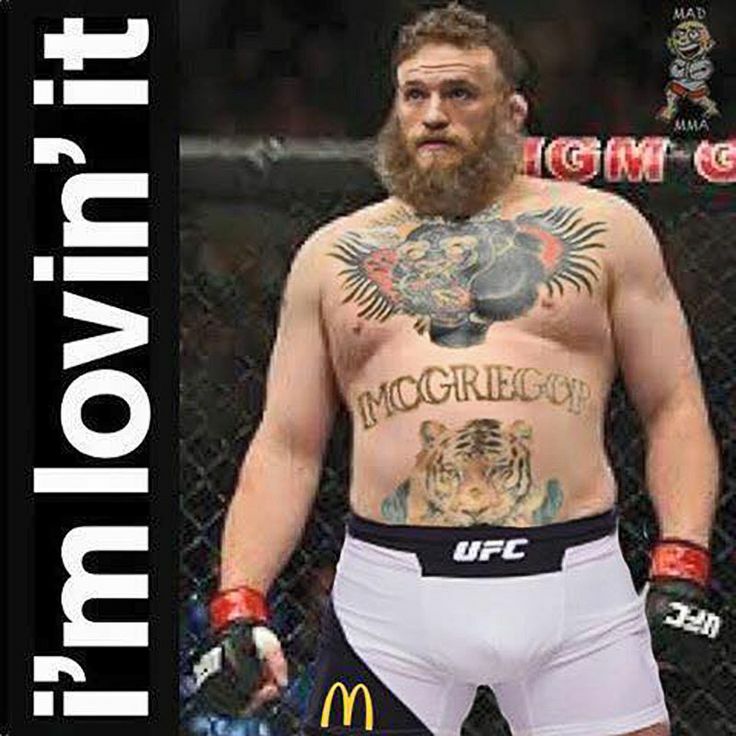 That's Roy Nelson and you have photoshopped Conor's face and tattoos. gunlok, gosuasus, wearetheromans and 1 other person like this. submerged88 The 88 refers to a car--not H H.
No, he's just a good sized leprechaun. 12ga., NightwingBJJ, Miiiiiiighty and 1 other person like this. uppercutbus, Draxton, Wanderson Silva and 3 others like this. The strangest thing about him is being prob 5'8 at best himself he actually calls other people midgets and laughs at their height. Sgt Smith, iddqd7331, AceCooch and 3 others like this. Looking forward to your photos. 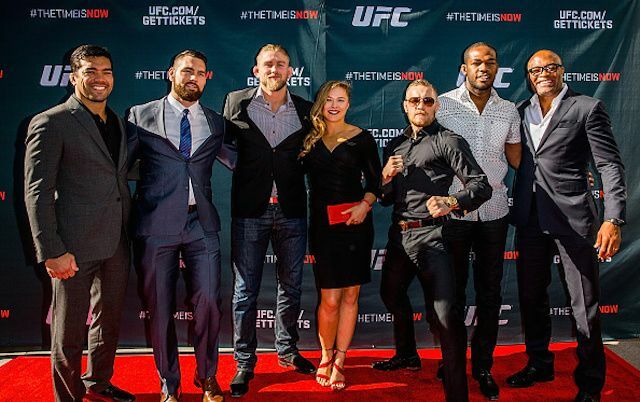 You can show the MMA world how they should dress. Sgt Smith, AceCooch, Luger and 3 others like this. Anyway, if you think he's a dapper lad, then so be it. 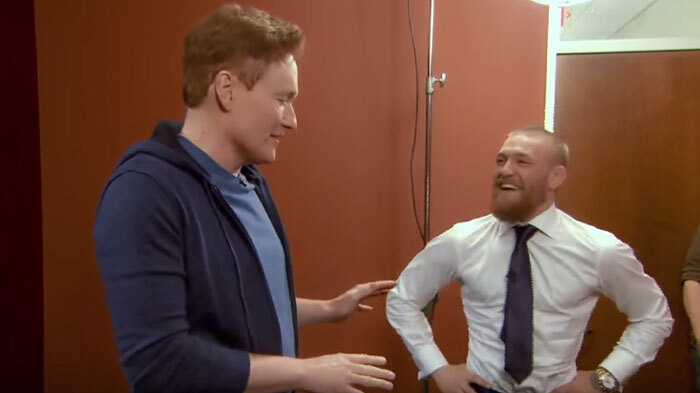 ...meanwhile the rest of the non-Conor obsessed world is laughing AT Conor, not with him. scardera, SoSoSmart and Natesblackshirt like this. Does he act much harder and tougher and bigger than he is? scardera, SoSoSmart, NightwingBJJ and 2 others like this. He is not , but not big either. I'd say he is on the lower end of the " average " spectrum ..
ssBaldy, felmmando and Which Doctor like this. iddqd7331 and bubby like this. Sgt Smith and paynebringer like this.